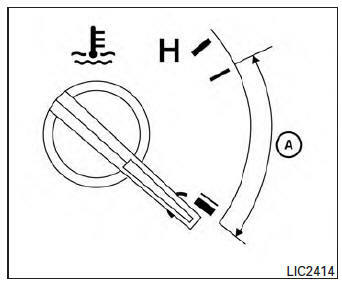 The ignition switch must be placed in the ON position for the gauge to give a reading. The gauge indicates the engine coolant temperature. The engine coolant temperature is within the normal range when the reading is within the zone A shown in the illustration.